Let’s go to Chingola, Zambia. We have been waiting for justice for years, but you may also read this time as a river that becomes as angry as it is suffering. In the same way sounds what concerns us most, the Kafue, whose waters are indispensable for the survival of the villages. Some of you used to say, often and by chance, let's help them abroad, at their country. Forgive us, but it took us a while to understand what you meant by let’s help them. The truth is that some of you, citizens of nations oppressed by the amount of stuff, rather than misery, they are always in a hurry and forget words and heart’s pieces on the road. Well, we know that the latter must be strengthened by practice and like any body part that involuntary pulses with life, where it is neglected, it shrinks. In this way you risk to lose something of value on the street. In your case, a fundamental fragment, an information that we had to guess at our expense. Let's help them to die abroad, at their country. That was the correct translation, right? In any case, words are important, you also say. Of course, but some are much more. For many they are all you have and if you're not careful, your everything will be stolen under your eyes with a… words game, that’s right. This is how colonialism has become exporting and relocation, investing and expanding. Nevertheless, in short, you might also read it as let’s help them to die at their home. However, those of us still alive and determined to resist the only real invasion worthy of the name have raised their heads and brought the bill to the false friends who came from afar. 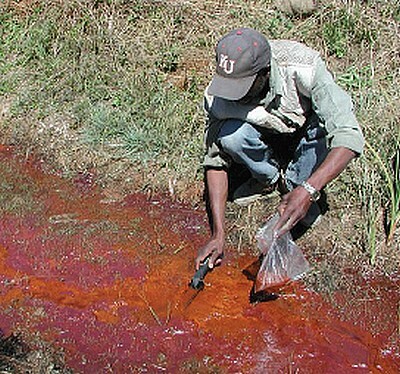 Like the British mining company Vedanta Resources, which is responsible for pollution on our land and lives. It is not the first time that this happens. In this continent long ago we have begun the fight to recover the natural stolen goods. But this time, in April, if the Court express will act on our favor, it will create a unique precedent. In fact, if our request will be satisfied by the Appeal, the trial that sees some of the vampires of our natural richness imputed will take place in the UK. Here's what a story can suggest. And here is what we can get, where we write and read it using the real meaning of the words, contaminated as the conscience of those who take advantage of them. In this way, “let’s help them (to die) at their home” gets its deserved counterweight to restore true balance. Help us to make and bring justice at your home.